Here's your chance to shine your light in a fun, nurturing, creative space! Led by Faith Rivera (Emmy-winning Singer/ Songwriter & touring Positive Music Artist), join in this 2 hour “musical firewalk” to experience more creativity, joy, freedom, confidence, and empowering fun than you’ve ever had before. 1. Experience more creativity, joy, freedom and confidence. 2. Heal that old story. Whether you want to break through stage fright or you just want to experience the joy & freedom of letting loose, this is your time to embrace the spotlight & be your brilliant self. Learn positive, upbeat sing-alongs, easy dance-alongs, even write your own personal chant & celebrate the Everyday SuperStar that you are! Come and express your authentic self. Heal that old story & give yourself the permission to express freely & fully! Be as involved as you want to be. 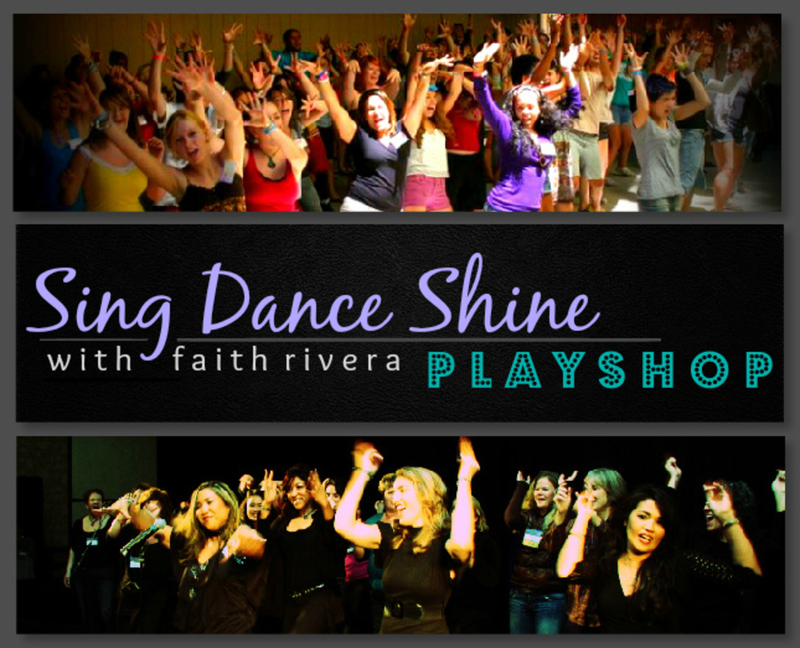 No singing or dancing experience required, just the intention to SingDanceShine & Play! (optional) Take your Everyday SuperStar experience by performing with Faith the next day in service or in concert! Private 1-on1 coaching sessions for singing, songwriting, performing & music biz/career are available for a discounted rate to attendees immediately following the playshop dependent on the location. Email aloha (at) faithrivera.com for availability & note which date & locations you are interested in booking a session for. Everyday SuperStars from these communities have seized their spotlight...what about you?! Faith is an Emmy-winning Singer/Songwriter & internationally-known Conscious Music Artist. Her music’s been on heard on Hawaii Five-0 to ER and with speakers like Marianne Williamson to Michael Beckwith. From childhood to her early career, she experienced ongoing fear on stage. Through spiritual practice, Faith found a way to transform this fright to fun, exhilaration and empowerment for others around the world. In her first performance with the “Everyday Superstars,” (brave fans who performed with her on stage), she explained to the audience that they were not pros, but normal folks who were about to face their biggest fears & live their greatest dream. The inspiration of their performance was infectious, powerful & life-changing even for the audience! So from that moment on, Faith knew she had to continue sharing her story & encouraging others to sing their song and dance their dance and shine their light! Faith lives in Long Beach, California with her high school sweetheart & adorable toddler. She tours around the globe and hosts a monthly virtual Caregivers Concert online. Most recent. Faith’s music & sunny message can be seen & heard on the “What is New Thought” movie.